Long-term readers will know we’ve been following Bruce Dell and his company Euclideon for essentially the whole of their commercial life. The cynics still abound in regard to Euclideon and their claims, but it appears there’s ongoing progress and growth – whether they end up world dominators is far from certain, but I doubt anyone could argue they’re not trying damn hard to do something great. Models that simulate and models that stimulate! Your models can be interactive!Imagine riding a blood corpuscle through a three storey high heart, watching from “inside” the brain as an aneurysm bursts (a “stroke”). “What Makes Us Human?” is an event run by UWA and sponsored by the School of Anatomy, Physiology and Human Biology as well as the School of Physics. We encourage you to create a model, animation or simulation that reflects what makes us human at a cellular, organ, or system level. We encourage you to create fairly accurate or representative creations or models that can be used for teaching. The aim is to enable others to learn anatomical, histological, developmental and/or physiological concepts about the human body from your work. Entries can be submitted anytime between the 1st of December 2013 and the 28th of February 2014. Entries should have no more than 300 prims. There is no limit on the number of entries you can submit. 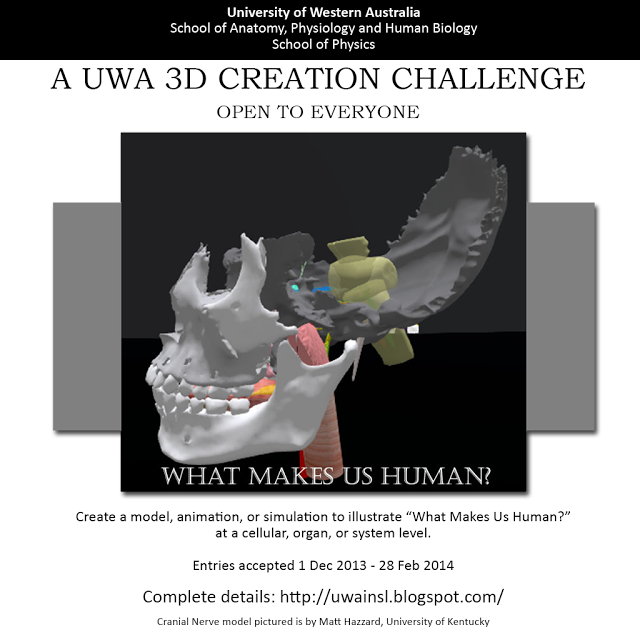 Entries will be displayed at the UWA Virtual Gallery. Fill out the Creator’s Notecard form (available from the entry drop box, or create a new notecard with your name, the title and description of your entry, a bried bio (optional) and your rl city location (optional)) and include it with your entry. Be sure to include your name and the name of your entry in the filename of the notecard. Drag the file from your inventory to the contest entry billboard prim. The outline of the billboard should turn red. You may then release your mouse button and your entry will be deposited. Do the same with your Creator’s Notecard. 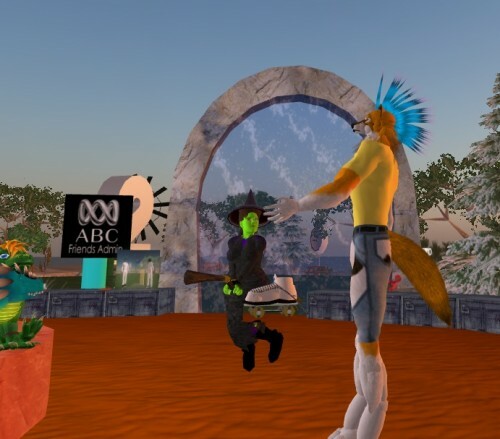 If you have problems with the receiver drop the model into the inventory of FreeWee Ling (UWA Curator of Arts) or Jayjay Zifanwe (Jay Jay Jegathesan: UWA in Second Life Founder & Lead) along with a note card stating the name of the model/animation/simulation and the creator. Nervous System: What are the various representations of different types of neurons? Integumentary System: What are the structural differences between the layers of epidermis (skin)? Muscular System: Examine structural differences and/or similarities between skeletal, cardiac, and smooth muscle cells. Embryology & Foetology: What are various stages of embryonic and foetal development? Perhaps look at the transformation from embryo to foetus. Skeletal System: What are the components of the human skeleton? Present the anatomy of various types of joints. Nervous System: What are some of the neural pathways that enable us to perform day to day cognitive and motor functions? Circulatory System: How does blood circulate through our body to meet the metabolic needs and maintain the normal function of cells/organs/and bodily systems. Circulatory System: How does the heart operate, and what are its different chambers and valves? Histology, anatomy, and physiology are disciplines that go hand in hand. It is only natural that you may construct entries that draw on more than one of these disciplines in order to facilitate the learning of concepts. Furthermore, you could also think outside the box. You can portray/convey the difference between normal features and functioning, and the abnormal or dysfunctional. By submitting an entry, you agree to allow the University of Western Australia to use your model/animation/simulation for teaching and learning purposes, and for promotion of UWA’s programs. Maximum land impact for any entry is 300. Mod/Copy perms are appreciated so we can rez/remove entries on demand, however, if mod is not possible, copy is appreciated. 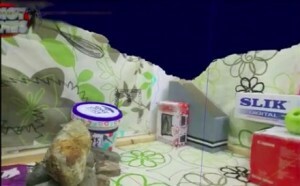 Size is not technically limited, but may not interfere with other exhibits or activities on the sim. Script lag, light or particle emitters, or sounds should be confined to the area of the entry. Contact FreeWee Ling, curator, regarding any special requirements such as orientation, media parcels, environmental needs, etc. We encourage the submission of all-original work. If any component of your entry is the result of rendering work that has originated from another author, whether or not it is under copyright, you must have permission to use it and acknowledge the original author of the component. 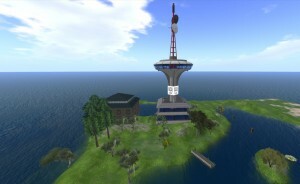 Cranial nerve models, like the one pictured in the competition poster, can be viewed at the University of Kentucky’s Cranial Nerve Skywalk in Second Life. To teleport there, click HERE. If you want to enter, check out all the details over at the UWA in SL blog. I’ve been an admin on the island (in name only – I’ve had no active involvement really) since 2008 and I’ve seen it evolve and grow over that time. As you’ll see below, it’s made an impact on a lot of people. I wanted to take some time to posts some memories from a number of people who’ve called ABC Island another home at different times since 2007. So sad…I was born there, and owe many old friendships to SL’s ABC Island. ABC Island for myself is, and from conversations with a lot of visitors I’m not alone, a place where we grew up as an avatar. ABC Island was and still is a friendly relaxing laidback environment, someone said it was just how the Australian-run sims that made them this way. Personally I had visited ABC within my first week of being in Second Life, and it was the friendships I made that kept me coming back. Once I had found my feet and was looking for “something to do” I wanted to give ‘admin-ing’ a go, I had always wanted to work in television, and well ABC would be the closest I could get. One of my favourite things was the Sandbox, and in particular I remember a day when we built a pond on one level.. it was just a spontaneous group activity that started with one idea and grew and grew as we all found things in our inventory or built new things..http://www.flickr.com/photos/jukotempel/2420554975/in/photostream/. I had a similar experience when Diag Anzac and Gary Hazlitt and I got together one day to build the beach area on ABC Island http://www.flickr.com/photos/jukotempel/1678133214/. 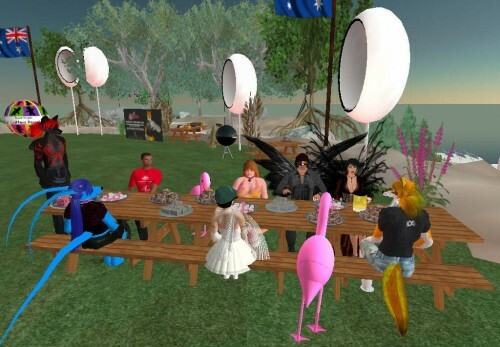 One of the great things about SL, and the Island provided by the ABC, is the opportunity to meet people and do things together, to create fun ‘places’, with a real sense of the presence of those other people and a location rather than just a text box for interaction. Notice though, how many of us Second Life users still keep our SL names for our other Social Networks?I gained “Rankin” from there.Not long ago I seriously considered changing my name to Wolfie Rankin. I didn’t go through with it because I realised what the advantages of having two names was to me. SL gave me a lot of confidence in talking to others, which I didn’t have before that, and was a real boon when I was still recovering from illness. Thanks ABC, and Thankyou to the other Admins. Now it’s over to you: post your memories, links to pics or related stuff in comments! 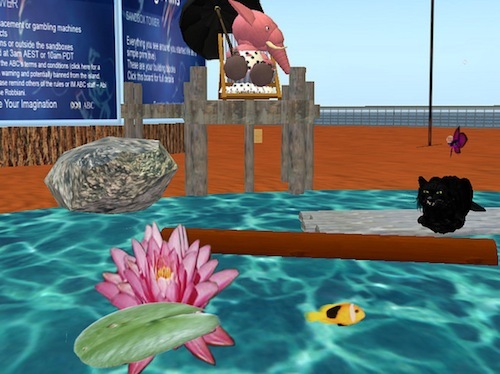 It’s not surprising but sad all the same: the wonderful community-driven project that is ABC Island in Second Life, is to close on the 22nd of September. 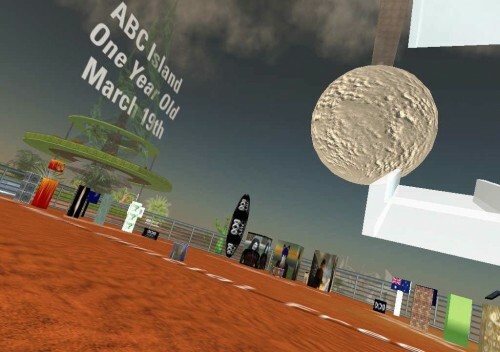 The island has been a staple of the Australian Second Life scene since March 2007, and it’s undergone a number of iterations since then (check out a lot of them here). Given the relatively small number of Australian visitors the sim gets compared to its heyday, it’s not a shock that the ABC are redirecting the funds. That doesn’t make it any easier for the small and dedicated bunch of volunteer admins of the sim. We’ll have more details on farewell arrangements / spontaneous wakes etc as we find out ourselves. In August last year I posted the last of a few articles on promising new graphics technology called Unlimited Detail. As I posted there, the team were going to ground to work on getting the technology to a stage where they have something even more substantive to show off. As mentioned when Euclideon was first revealed, this technology is something they plan to utilise not only for video games but also scientific research. Supposedly there will be “some Euclideon products released in non-games related industries over the next few months”. “There turned out to be a lot of demand for our capabilities across quite a few industries, so we have tried to put that demand in order and address each area one at a time. As soon as we have revenue coming in, we can expand our team into different departments to deal with each industry,” Dell tells us. So things are still progressing and we should start to see some implementations of the tech before the end of the year by the sound of it. Thanks to Phillip Street for the heads-up! We’ve been following Frenzoo since 2009, and over that time the company has shifted very squarely into the mobile market. The full press release reproduced for you below. Congrats to CEO (and expat Aussie) Simon Newstead and the team for their ongoing success – it’s no mean feat to keep the momentum going in the application space and they’ve managed it over a significant period of time. Hong Kong and San Francisco, CA – May 10, 2012 – Frenzoo (www.frenzoo.com) the pioneers of a new class of 3D lifestyle and fashion mobile games, today announced it has received US $1 million in new seed funding from investors based in Asia, Europe and the United States. Investors include: Efficient Corporate, the investment vehicle of Hong Kong-based angel investor Tytus Michalski; Siemer Ventures, an early-stage, cross-border venture firm with offices in Los Angeles and Asia; K5 Ventures, a pan Europe- and Asia-based group focused on media and commerce; and Metaverse Services, a China-based leader in game content creation. They join existing investor Ambient Sound Investments, an early stage venture firm backed by the founding engineers of Skype. Frenzoo will use the funds to accelerate the launch of its Me Girl brand of titles (www.megirl.com) that offer lifestyle and fashion mobile games for all ages. Data from mobile analytics firm Flurry shows that women make up a majority of the mobile social gaming audience. 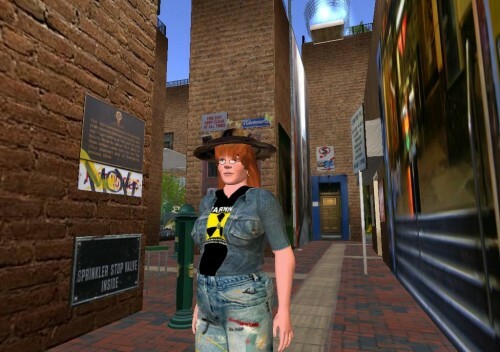 The Me Girl titles aim to be the first 3D games crafted specifically for this market. In June last year I profiled the superb work being done by Stefan Schutt and Dale Linegar at The Lab. If you haven’t read that profile then definitely read it now, or even better listen to this interview with Melbourne’s RRR, recorded this week. 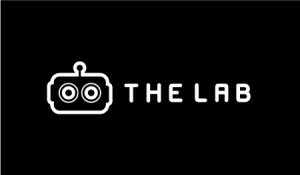 If ever there was a program involving virtual environments that deserves major league support, it’s The Lab. Go have a look in detail for yourself. 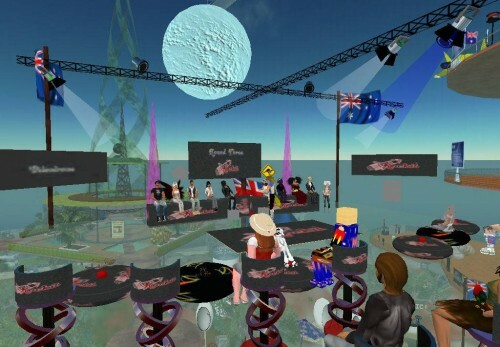 Virtual Worlds Working Group, albeit a very inactive one at present – if you’re interested in getting involved drop them a line. You’ve got to love tabloid media. 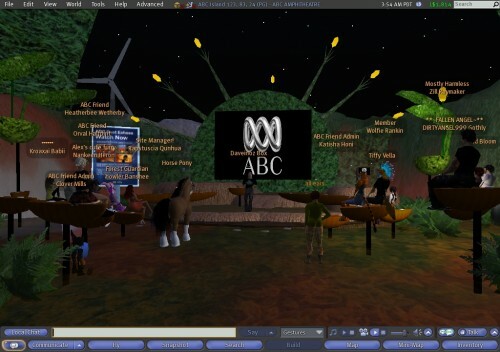 Hot on the heels of Tuesday’s radio feature on Second Life, Channel 7’s Sunrise program has run a story called “Second Life Controversy: Is the online community ruining our reality?”. No, you haven’t missed anything, this is the same ‘controversy’ that got so much media attention during 2006. There’s no new issue that’s led to this media coverage – it’s just the sad reality that someone on the Sunrise show was listening to the radio on Tuesday and decided they’d better do a story. Given this same mainstream media focus has been going on for over five years now, you have to wonder when things will move to a more nuanced perspective? Over to you: would love to hear your thoughts.